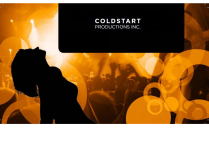 Welcome to COLDSTART Productions. We are a professional songwriting company dedicated to creating outstanding music primarily focused on the country rock niche. The company was co-founded by Sean Fitzgerald and Mike Pugh in 2010 and are currently accepting offers from publishers, music supervisors, and country rock artists. Our primary mission is to quickly change the state of the listeners through the power of music. The songs were professionally recorded by Kim Copeland Productions at the world famous FunHouse Studios on Music Row in Nashville and are ready for placement. We have posted 4 of our songs on this website to give you an idea of our style and range. You can select and listen to our songs by clicking them on the left. Take care and thank you for listening.